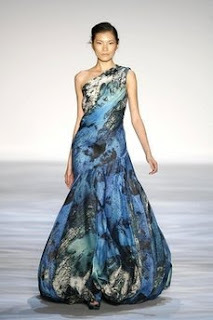 Project Runway season 4 winner Christian Siriano showed again Saturday at New York Fashion week. Click the image above to see more photos of his line, or read about it here. It's exciting and exhilarating, but bizarre. When they came to me, I said, 'I'm about to turn 56 years old. Are they crazy?' 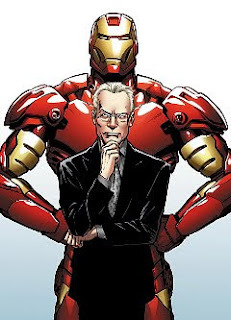 But it kept revealing itself in layers and next thing, I'm wearing the 'Iron Man' suit. I was dumbstruck. According to the NY Daily News it hit the streets last Thursday. I guess if anyone make it work, he can. I really like dsome of the things Siriano showed- the ball gowns, especially, were very charming. But the shoes. oh god. I am all for an architectural heel. I am all for platforms, as when they are made well, they actually make heels more comfortable. I'm sure that when they are actually released by Payless, they will be very different. As of right now, those shoes are AWFUL.